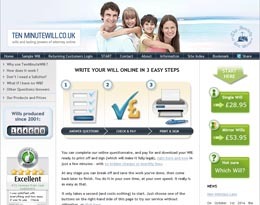 Legal Wills is an online will writing service that uses a step by step MyWill question and answer wizard to create a customised will online from a database of legal words and phrases approved by UK lawyers. 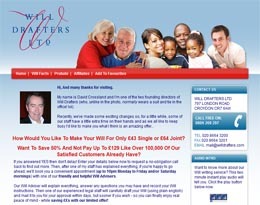 Legal Wills guarantee to be the most convenient, comprehensive, easy-to-use and cost-effective service available in England and Wales. 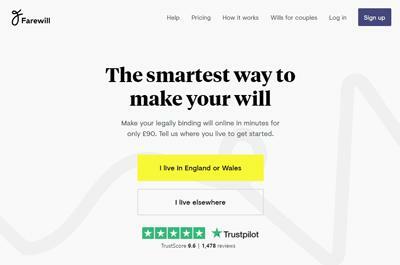 Designed and developed over 5 years with lawyers in the U.K, the service claims in can create perfect, high-quality, lawyer-approved Wills online reflecting your personal situation and local jurisdiction. 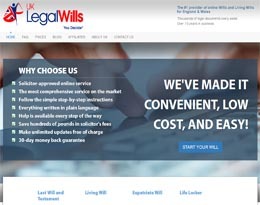 Legal Wills are so confident in their technology, that they offer a 30-day 100% money back guarantee if you are not completely satisfied with your purchase. 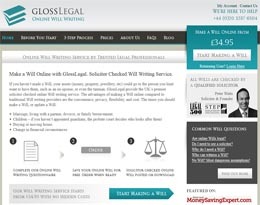 This page offers a brief summary of the Legal Wills online will writing service. Please visit the official website for full details by clicking here. 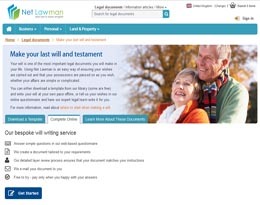 Although we make every effort to ensure this review of Legal Wills is accurate and up to date; prices, terms and conditions are subject to change. Therefore information may be dated, partial or inaccurate; and should not be solely relied upon without conducting your own independent research before deciding to make a purchase or other course of action.